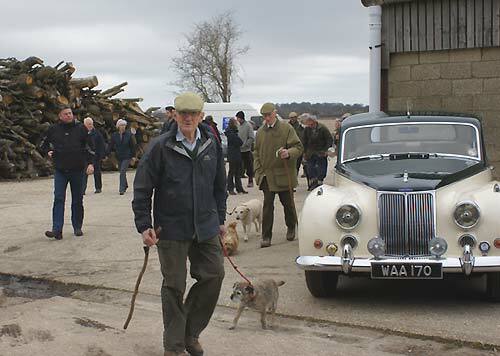 The offer of a marquee for the day was was not an opportunity to be missed and, at fairly short notice, a walk and a gathering of classic vehicles was organised at Fielders Farm on Sunday (8th March). 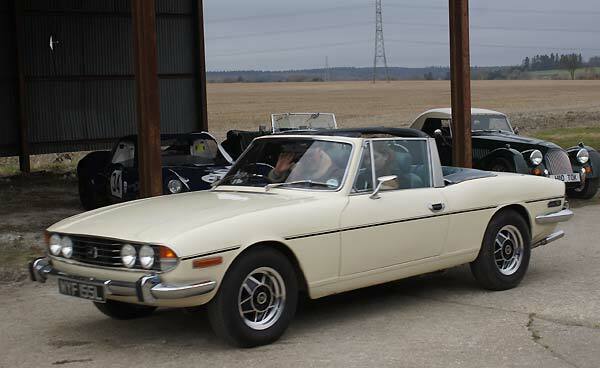 Quite a few vehicles had arrived by the time your photographer had completed the long journey from the 'Biz' nerve centre. 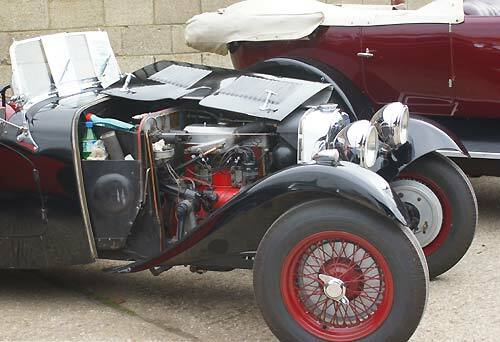 A rather splendid pre-war Sunbeam Tourer in the foreground, next to the rather more compact HRG. 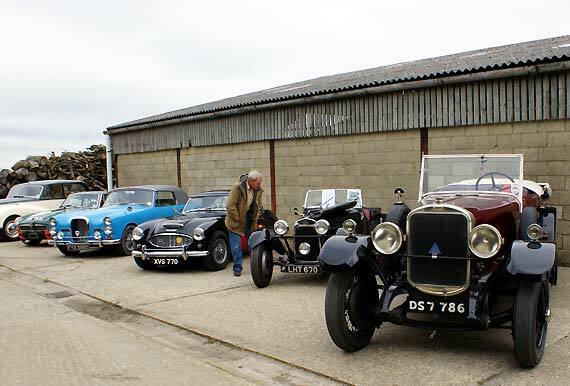 Austin Healey, Alvis Tourer, MGB GT and Armstrong Siddely Sapphire Complete the line-up. 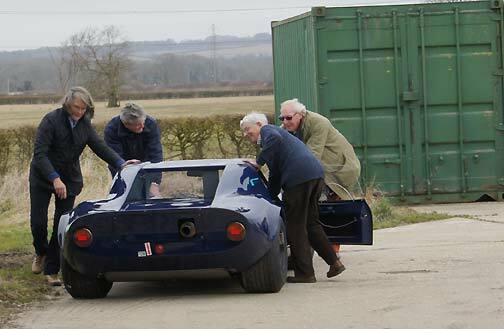 Team Schryver were on hand to roll their Chevron B8 into the barn, with the assistance of an Alvis driver to provide extra thrust. 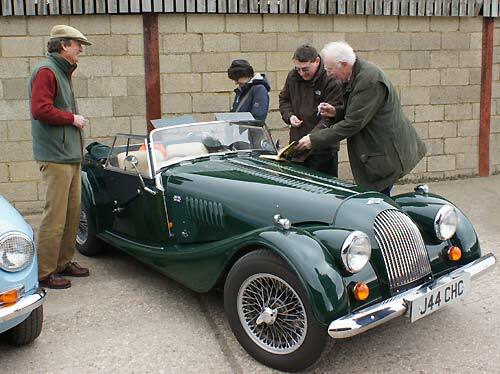 A quick polish was required before exposing the BMW power plant for inspection by the spectators. 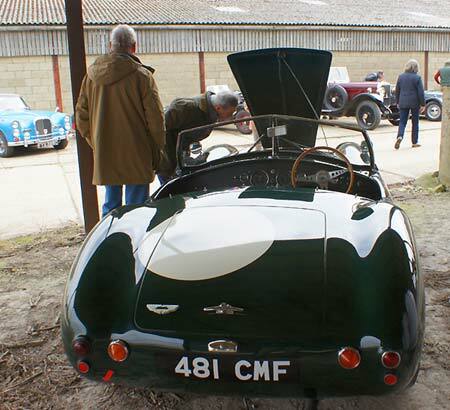 A rather unusual Aston Martin was lined up alongside the Chevron, the car was a a one-off special built in the early 1950's by Phil Jackman, then head of design and development at the factory, to make use of one of the "left over" four cylinder engines after the David Brown produced Astons were fitted with the 6 cylinder power plant. 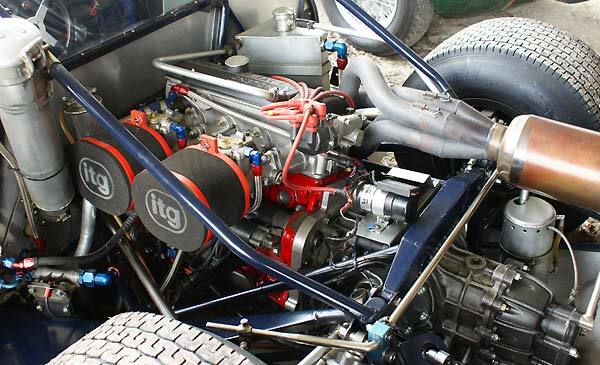 It is a bit of a hybrid with an Aston Martin engine, gearbox and front axle squeezed into a pre-war BMW chassis with a Triumph back axle. 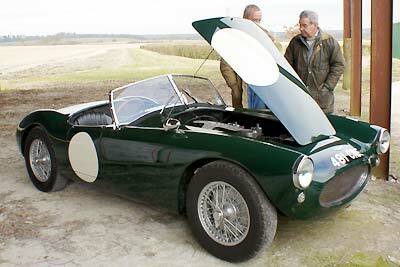 Green and May constructed the bodywork of aluminium over a tubular frame to create a classic 50's sports car. 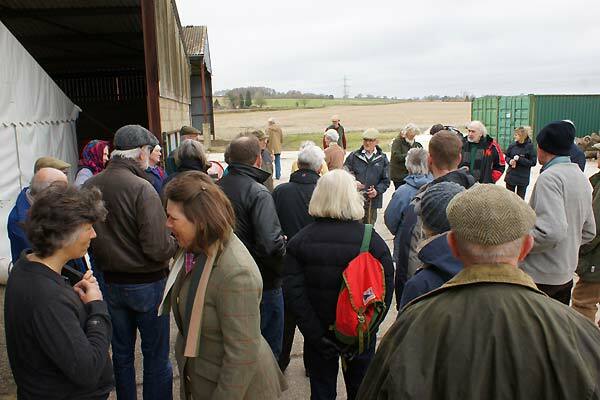 Meanwhile the walkers were being briefed by Tony Maxse as they prepared to set off for a circular walk over Bush Down to Selborne Common before returning for lunch. 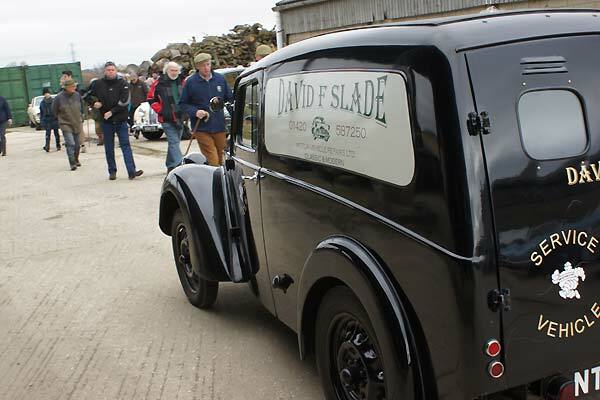 As they set off past the Sapphire they met some of the later arrivals coming in, including this rather smart Morris Van, a model very popular with the post office in the days when there were two deliveries a day and almost all letters arrived the day after they were posted. Your reporter decided not to follow the walkers, a decision possibly influenced by the proximity of a a barrel of Alton Pride, but was immediately put to shame by Host Derick Faulkner, (on the right) donor of the Marquee, which had been full to bursting on Saturday to celebrate his 80th birthday. 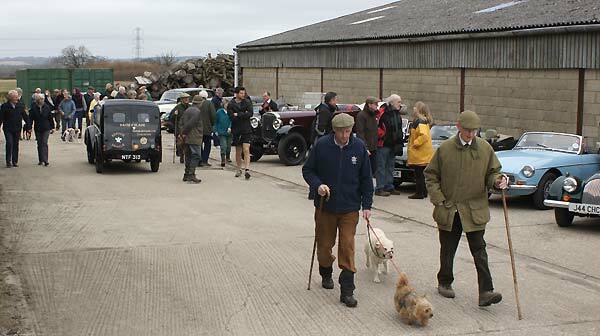 While the walkers were setting off across the field there was a chance to take a further look at the machinery on display. 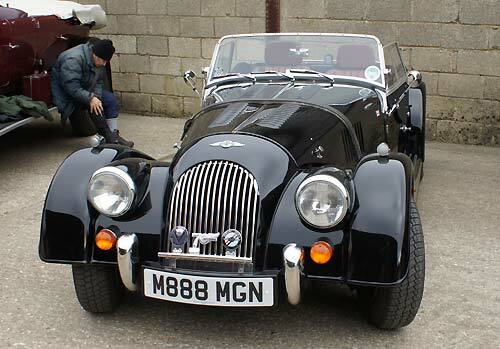 This Morgan, with Ian and John in attendance, was one of three on display in the yard. 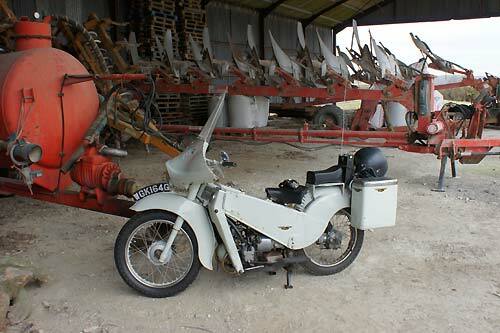 The display wasn't restricted to four wheeled vehicles, this this Velocette "Silent" LE was parked in among the machinery in the barn. 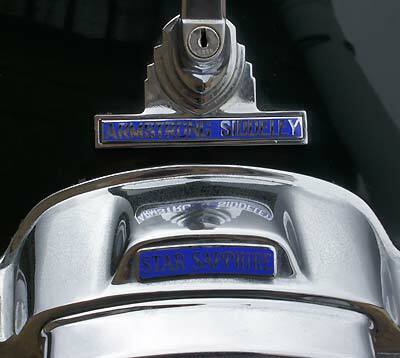 Universally known to my generation as the "Noddy Bike" a nickname that became popular after this model was widely used by the rural Police in the 60's, when their beats extended beyond the range of the official issue police bicycle. Although very quiet, due to it's water cooled engine, it was not a pursuit machine, unless the the suspect was attempting to escape on a bicycle. 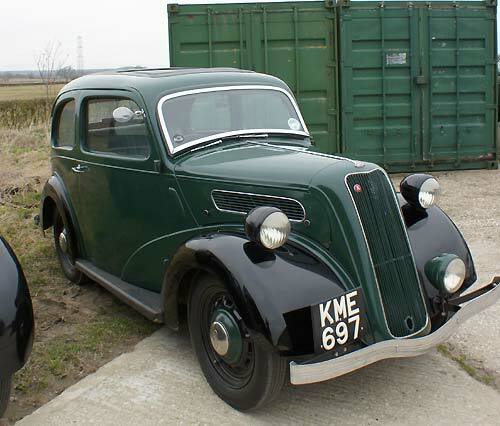 A 30's vintage Ford 8 was another of the late arrivals. 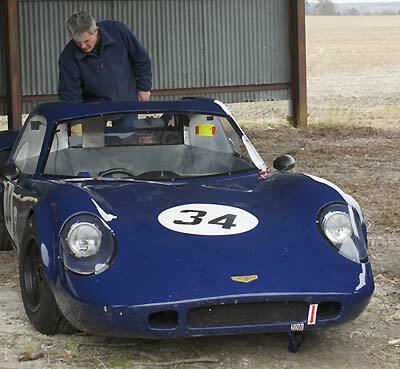 I must admit I learned to drive on an earlier version of this vehicle, belting round a recently vacated cow meadow in my early teens, on a surface which gave plenty of opportunity to learn the art of slide control!. 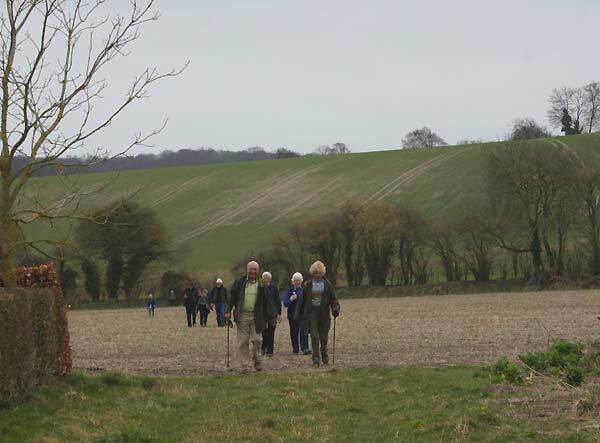 The Walkers were soon returning, rather more strung out than when they left, and also a lot warmer. 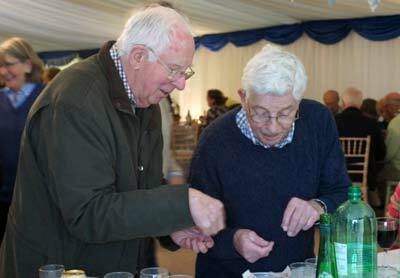 They had also worked up an appetite for the lunch on offer although the bar bills had to be settled first!. All the funds raised on a very successful day were donated to All Saints Church. Thanks to all those who helped organise the day and especially Hoppa, Jane and Sally who were on hand to dish up the lunch to the hungry walkers. 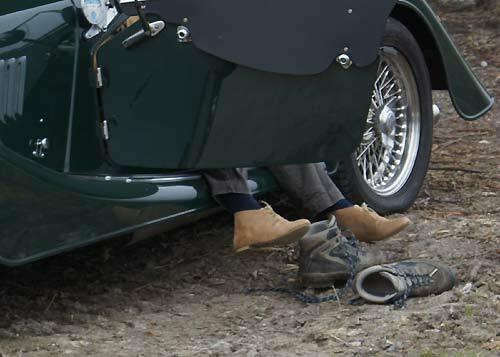 Some drivers had to leave early if only to prove that Triumph Stags are reliable, never break down? 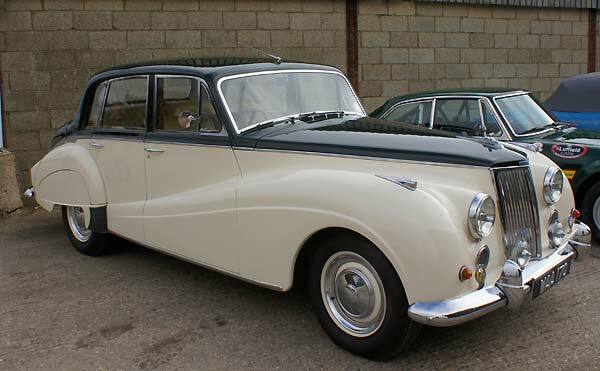 They can also provide transport for a young lady. in need of a lift home.